Need windscreen repair for a minor crack, or emergency windscreen replacement for a car that’s been involved in an accident? 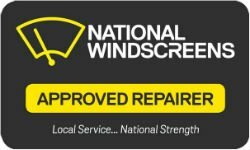 Whatever your needs entail, you can trust the team at National Windscreens to provide 24 hour windscreen repair and replacement services you can trust. Our experienced team offers a convenient mobile service in Charters Towers and beyond, including Towers Hill, Millchester and Queenton.